Macsome iTunes Converter for Win is a new iTunes Audio Converter tool produced by Macsome Inc. It is the Windows version of the iTunes Converter, so Windows users can use the iTunes Converter to convert your iTunes audios easily and quickly. The iTunes Converter has kinds of powerful functions to help users make full use of iTunes audio files. 1. It is an iTunes Music Converter to convert the music files on your iTunes Music library to MP3 / AAC and so on. 2. It is an iTunes Match Music Converter. If you are a iTunes Match Music user, the software also can help you to convert any music on iTunes Match so as to play them on MP3 player or other audio player devices. 3. It is an Apple Music Converter. 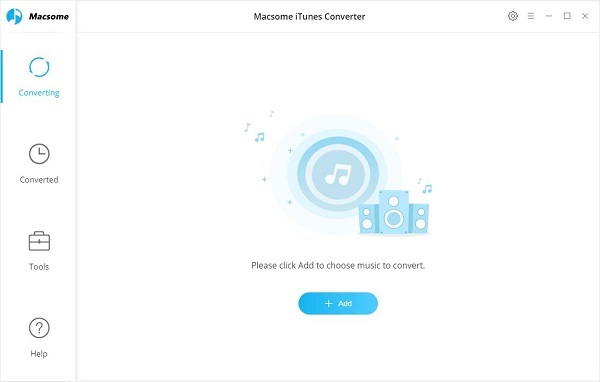 Apple Music files will be lost after you cancel the subscription, don't worry, you can keep the Apple Music available longer than you think with the help of iTunes Converter. Please note that, now the iTunes Converter can only convert the downloaded Apple Music files. 4. It is an Audiobook Converter to convert purchased Audiobooks and unprotected Audiobooks to MP3 / AAC on your computer. 5. It is an Audio Splitter. All the converted audio files can be split to small clips to meet your need. The splitter function is very useful and helpful for big Audiobooks, and you will like it. This page was last modified on 10 January 2019, at 17:07.